Defend against discomfort with a perfect addition to your seating lineup. 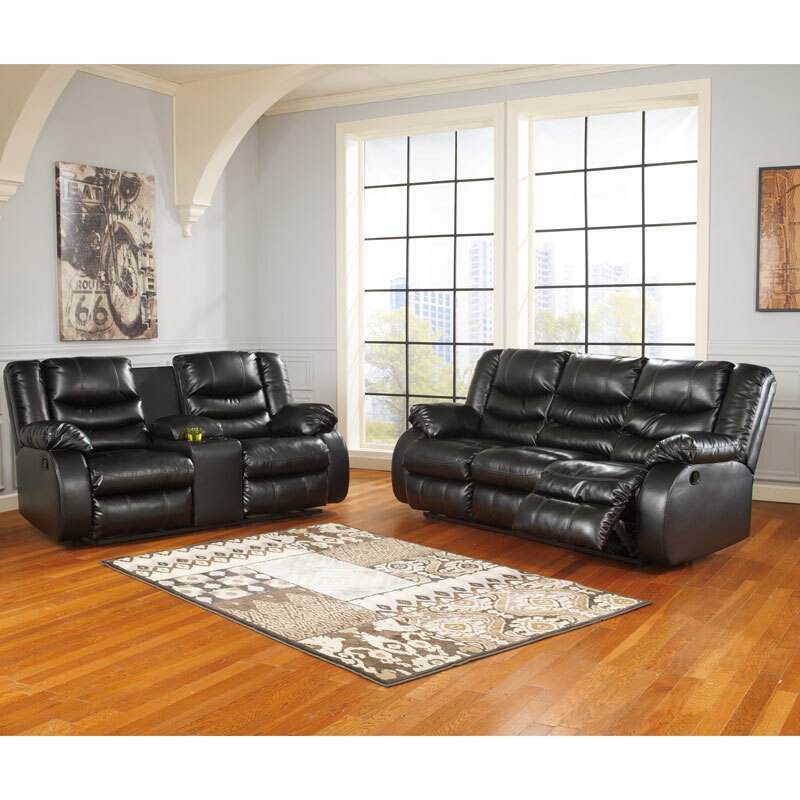 The Linebacker reclining sofa & loveseat is handsomely built with strength and durability. Inner cushions and back are covered with luxurious upholstery which gives you the look of leather without the high price. Simply pull tabs to recline the two end seats. Note how the tufted back upholstery provides exceptional support for head and back. Rest arms on the thick padded armrests. Now you're a game player for relaxation in modern style.